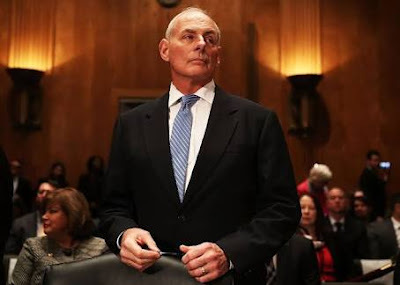 Newly confirmed U.S. Secretary of Homeland Security, John Kelly has said that in order to tighten security in the country, visa applicants, especially those from seven Muslim-majority countries that were temporarily banned from entering the U.S may be required to provide their social media passwords. "We are looking at some enhanced or additional screening. We may want to get on their social media, with passwords. It’s very hard to truly vet these people in these countries, the seven countries. But if they come in, we want to say, what websites do they visit, and give us your passwords. So we can see what they do on the internet. These are the things we are thinking about. But over there we can ask them for this kind of information and if they truly want to come to America, then they will cooperate. If not, next in line,” Kelly said. Kelly stressed that no decision had been made, but tighter screening would be implemented, even if it means longer delays for awarding U.S. visas to visitors.